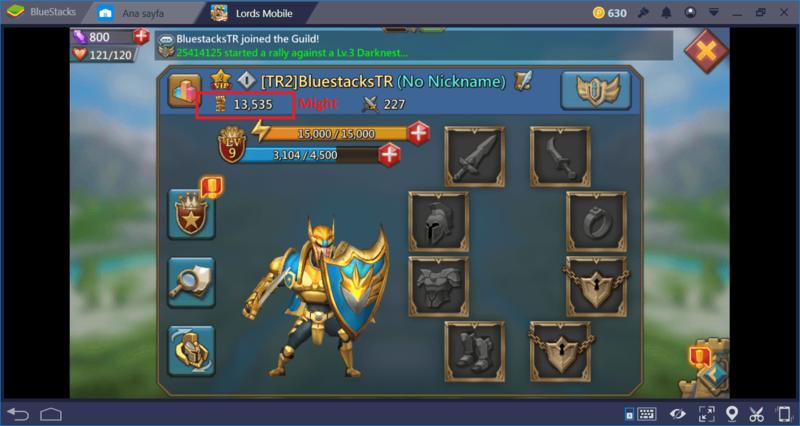 Might is the most important stat in Lords Mobile which has no effect on your hero. Interesting, right? Even beginners will understand that might is an important thing in this game after a couple hours of gameplay. It basically shows how powerful you are and there are ways to increase it. Well, there are ways to lose it too. In this guide, we will talk about both and tell you everything you want to know about Might. Simply put, Might reflect how powerful you are. Click the player icon at the top left corner: You will open the Hero screen. There is a fist icon right under your name, the numbers next to this icon are your might points. Now click on the bar icons that are located next to your name, this will open the statistics screen. Scroll down and you will see a section named “might”. As you can see, it consists of different things such as Troops, Buildings, Quests, and Player Level. Might is a single value, but it reflects the total of all these things. By finishing a quest, training a troop, and completing a building, you win points. The total average of these points is your Might power. As a general rule, players with higher Might points are considered as “dangerous”. 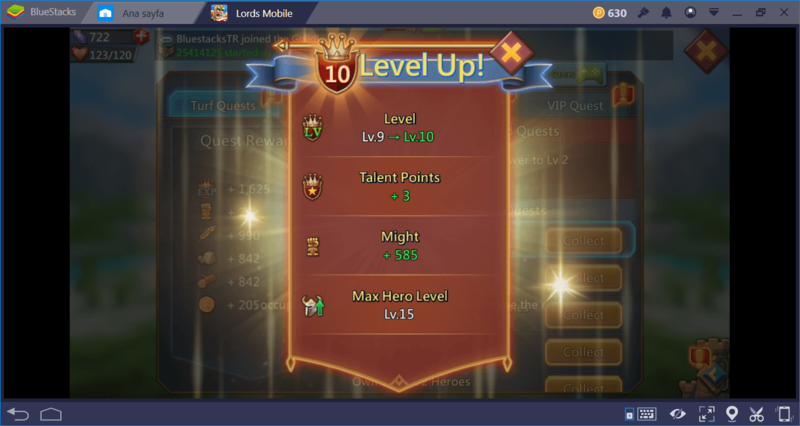 A high Might means that player is powerful and spent some time in Lords Mobile. However, this does not always mean that players with high points have a “strong army”. 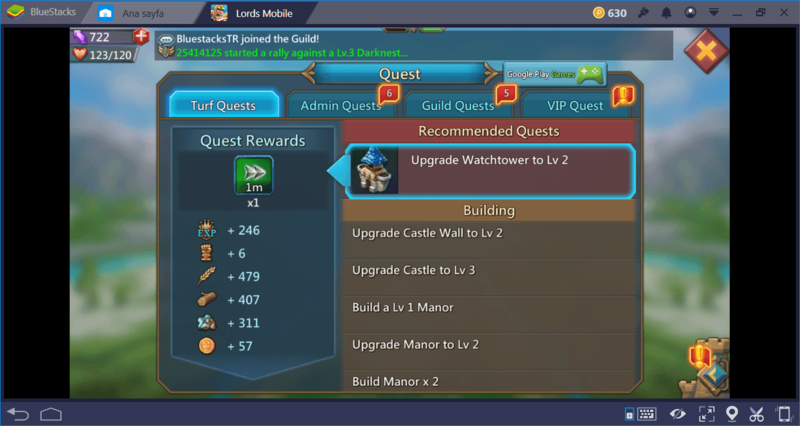 As you recently saw, it is possible to increase Might points just by doing quests and constructing buildings. In other words, a player can still have a high Might even without a single troop. This is the “trick” of the Might system: Everybody can see each other’s Might point allocation. Inspect a player and you will see how he did get his points: If he did not train any troops, for example, this means he is still “weak” even with a higher Might than yours. So, Might surely is a way to understand the rank of a player and big points mean a player is certainly powerful, but it is variable in which features he is strong. Inspect (scout) the players to see how did they get their Might and learn strengths and weaknesses of that player. Your might is not a fixed number: It is a dynamic value. It reflects your current power at different aspects of the game. For example, let’s say you have trained 10 troops and gained 100 might points (the figures here are just an example). If 2 of those troops get killed in a battle, your points will drop to 80. Likewise, constructing a building will give you points, but demolishing them will take away the same points. A player with a high Might will lose his “power” when he loses a battle. Troops and Traps: These are the fastest way to gain and lose might. 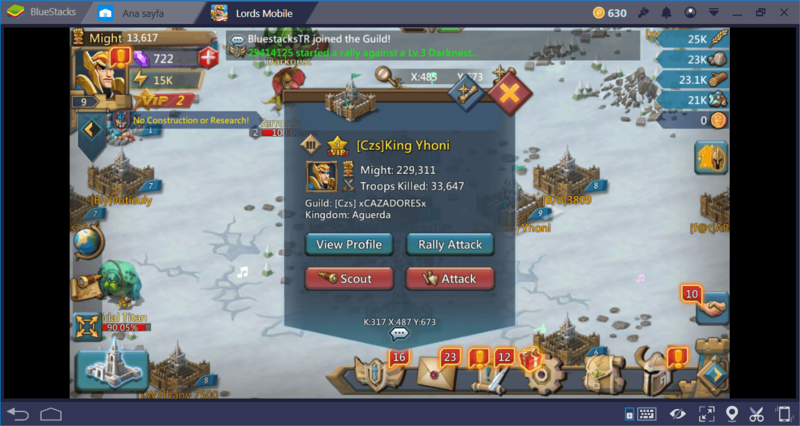 Most of the players rely on their troop count to increase their power. 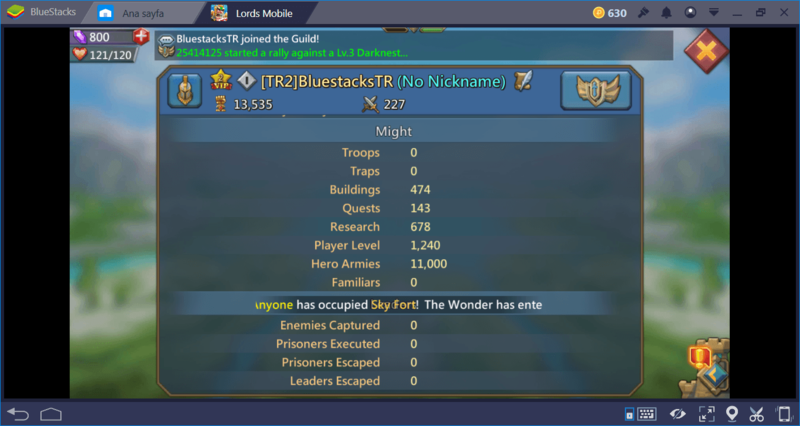 However, as mentioned before, losing troops is a “regular” thing in Lords Mobile. So if you just work on this aspect, sure, you will get a lot of Might points. But you will also lose them fast when your troops got killed. At the beginning of the game, focus on increasing other aspects. Troops and Traps will become important during late levels. Always build or upgrade something during your active play time. Never miss an opportunity. Make sure your queue is always full. Before exiting the game, start the construction of “big” buildings. Some of these take hours to complete so it will be a good idea to start the construction before going to bed, for example. In addition, try to use Construction Boosts as much as possible. You have a talent tree and you can increase your Construction skill via this feature. Note that there also construction boost sets in the game which will reduce the build time. Crafting one of these sets will be a good idea. Research: Research is the second fastest way to increase your Might. Every time you complete a research, you will get a satisfying amount of Might points. In fact, research gives more points than Buildings but it has also longer time limitations. The trick here is to unlock Research 1 and 2 on the talent tree: This will shorten the time limits. Unlocking Cargo Ship and upgrading Academy will improve research speed too. 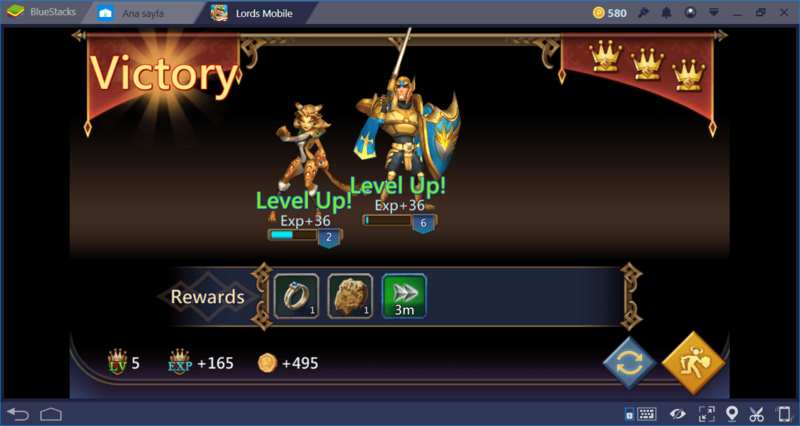 Leveling Up: Leveling up your hero is another way of gaining Might, as can be guessed. Completing guild and admin quests will give the most experience points, which mean you will level up faster. Please refer to our “How to Unlock New Heroes and Level Them Fast” guide to see the ways of power-leveling your hero. Remember that even a casual gameplay will award you enough Might points. It will take longer of course, but you do not need to be a “no-lifer” to become powerful. 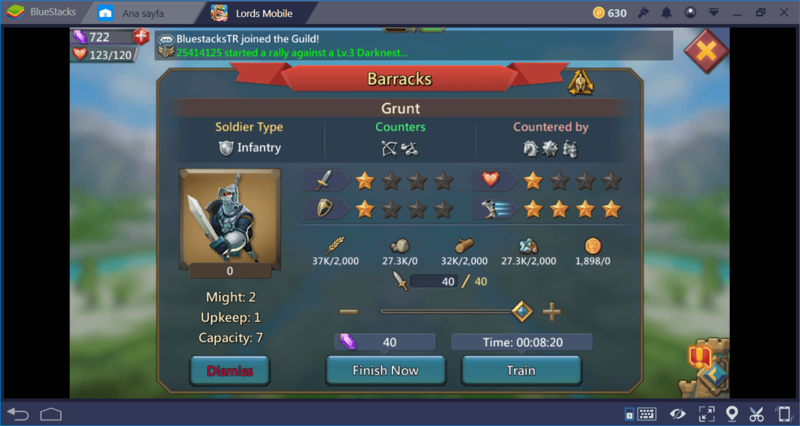 And as always, using BlueStacks to play Lords Mobile will give you the advantage of adding mouse and keyboard support to the game, which will grant a more enjoyable gaming experience.